included an icebite’s claw driller and a bulkar’s burner bike. 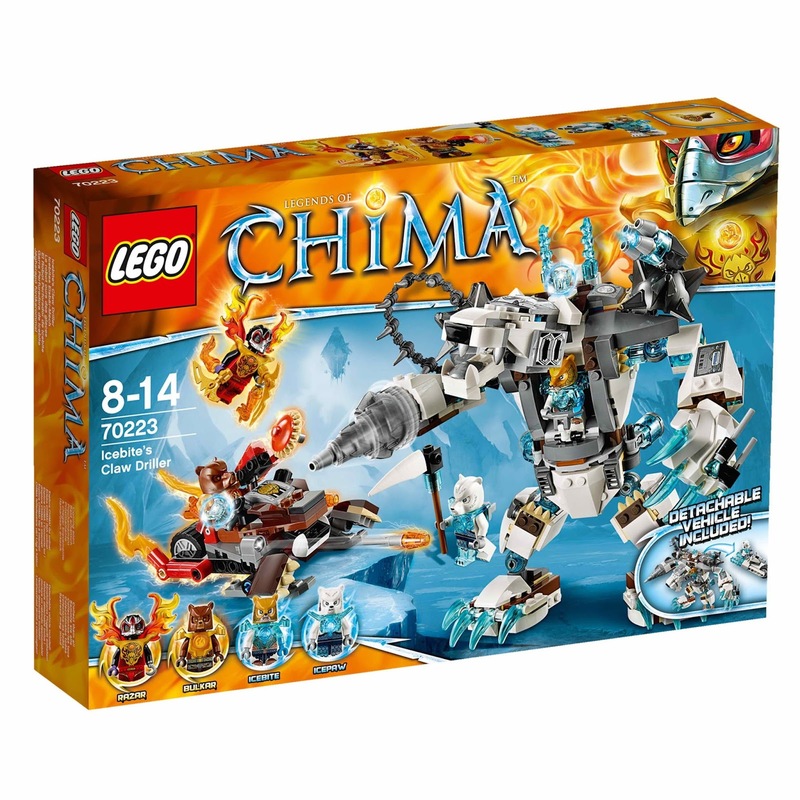 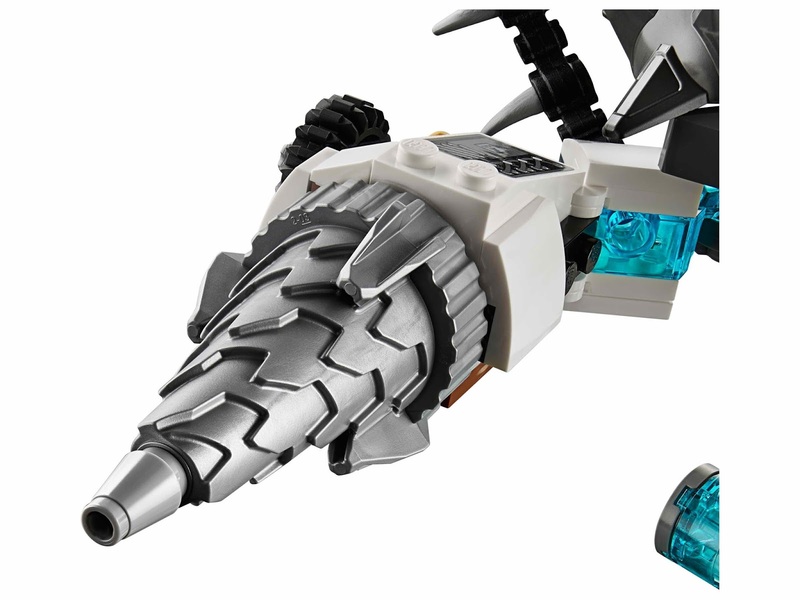 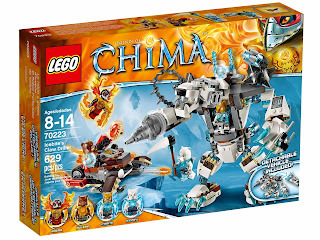 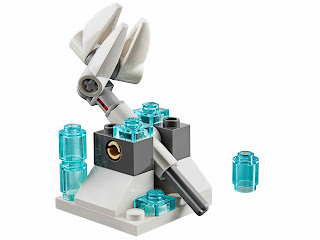 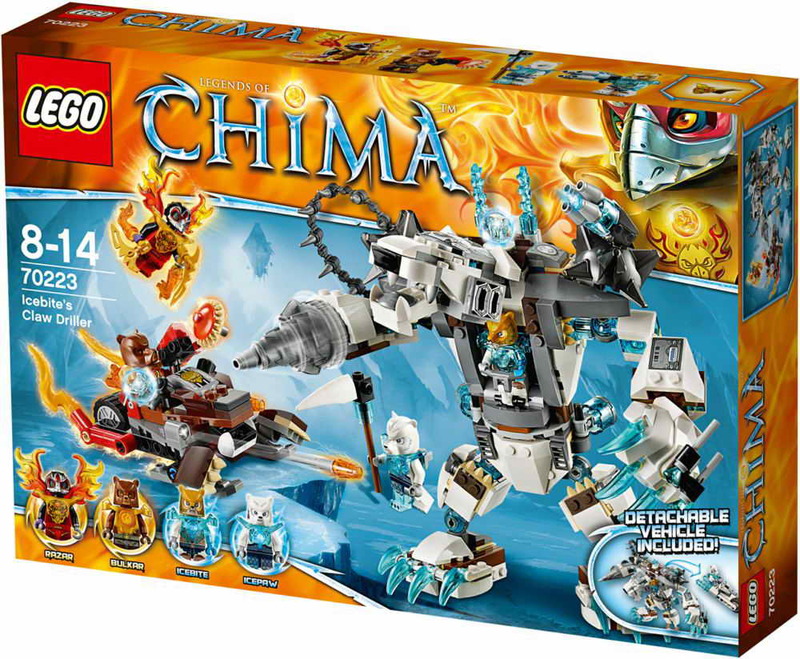 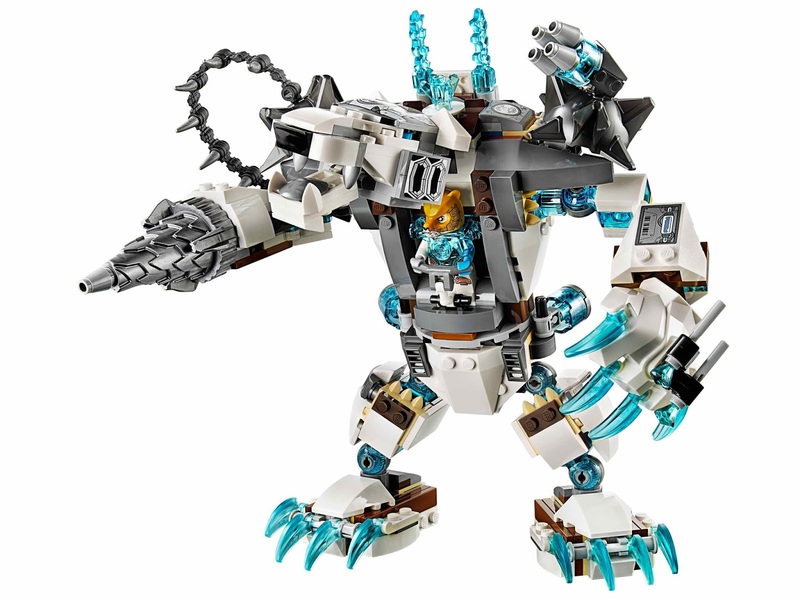 the claw driller has an openable jaws, movable arms with right arm spinnable drill and left arm dual flick missiles, a rotatable torso, a cockpit, a shoulder attachment point for icebite’s supa snowka, transparent blue ice claws and a hidden detachable blaster bike with transparent blue ice elements. 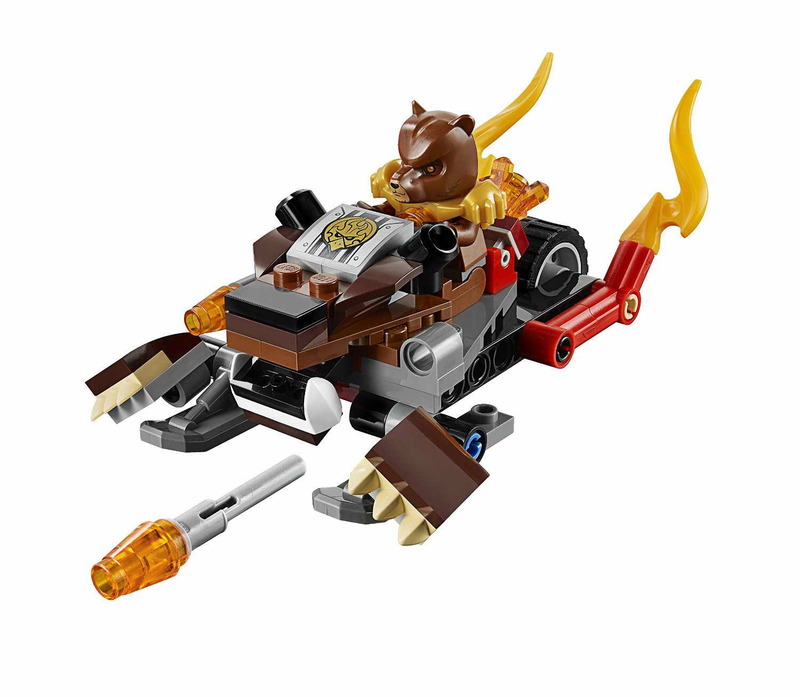 the bulkar’s burner bike has a fire chi exhaust, bear paw details and 2 flick missiles. weapons include an icebite’s supa snowka, an icepaw’s scythecicle, a razar’s flamechucks and a bulkar’s buzzfyre. 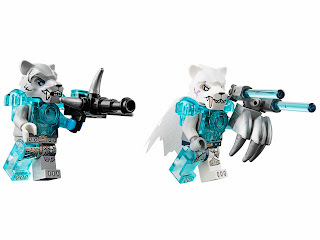 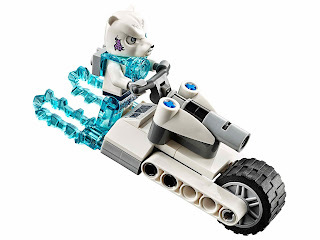 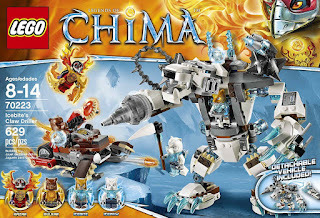 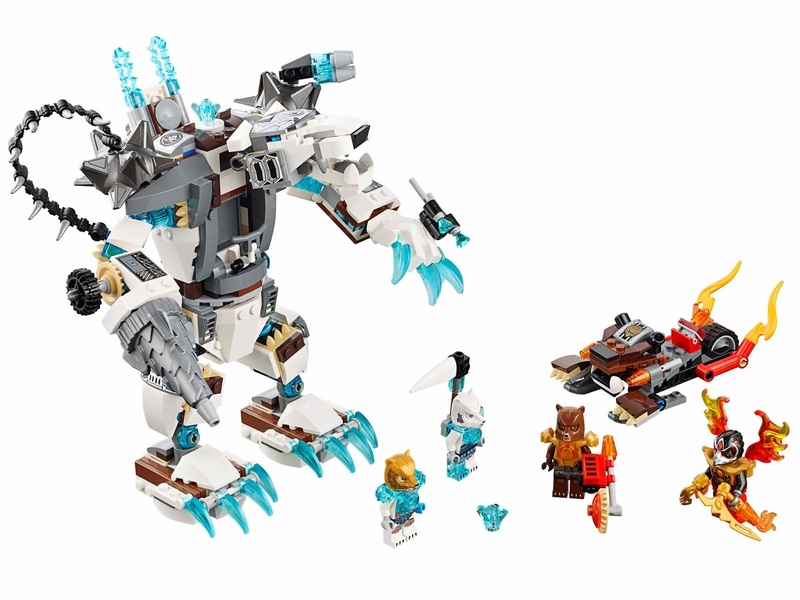 minifigs included an icebite minifig, an icepaw minifig, a razar minifig and a bulkar minifig. 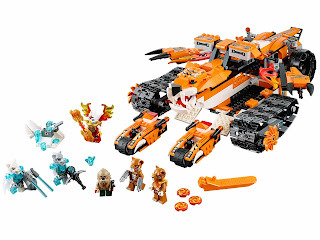 included a tiger’s mobile command, a tiger communication base and an abominator ice catapult. 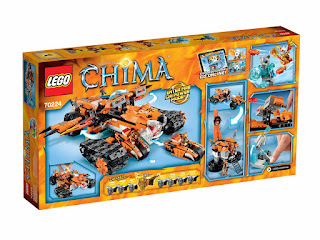 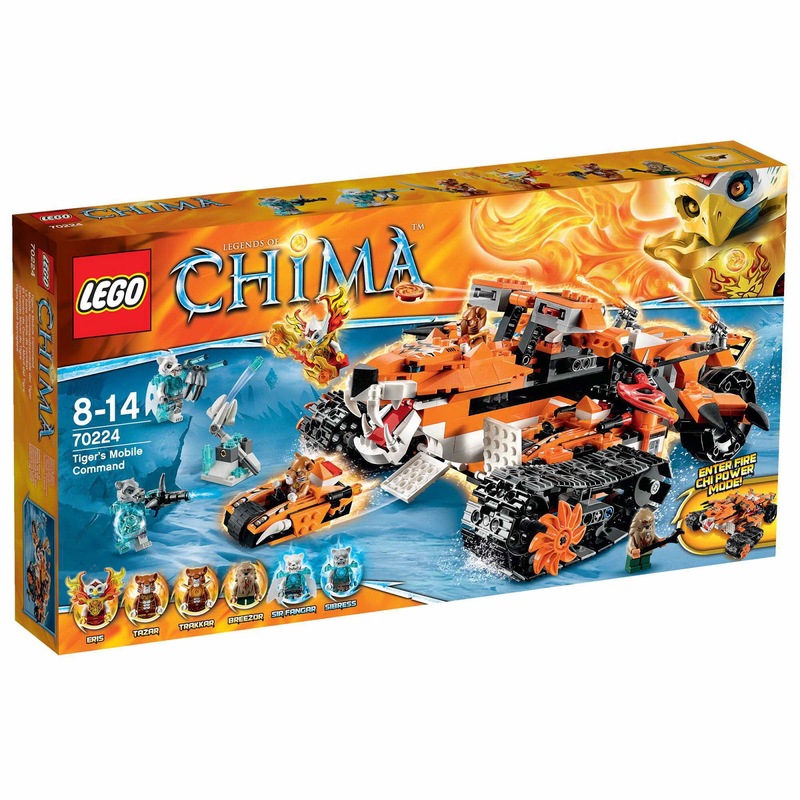 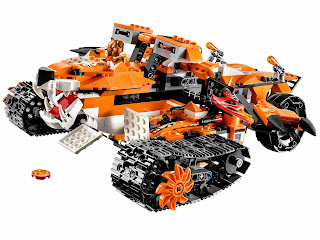 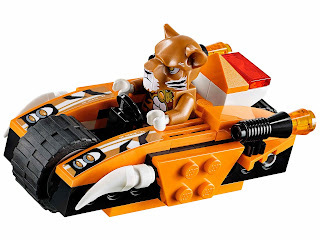 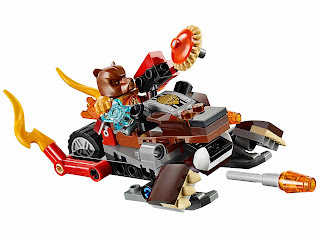 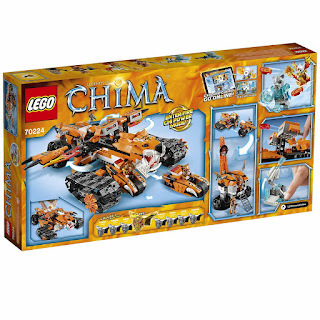 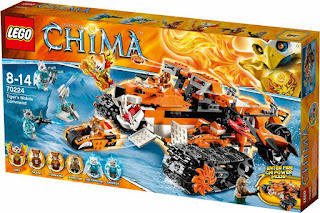 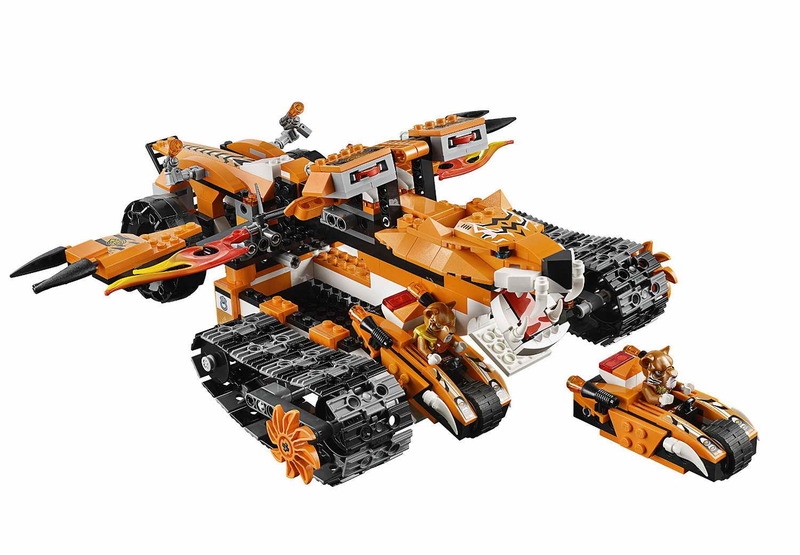 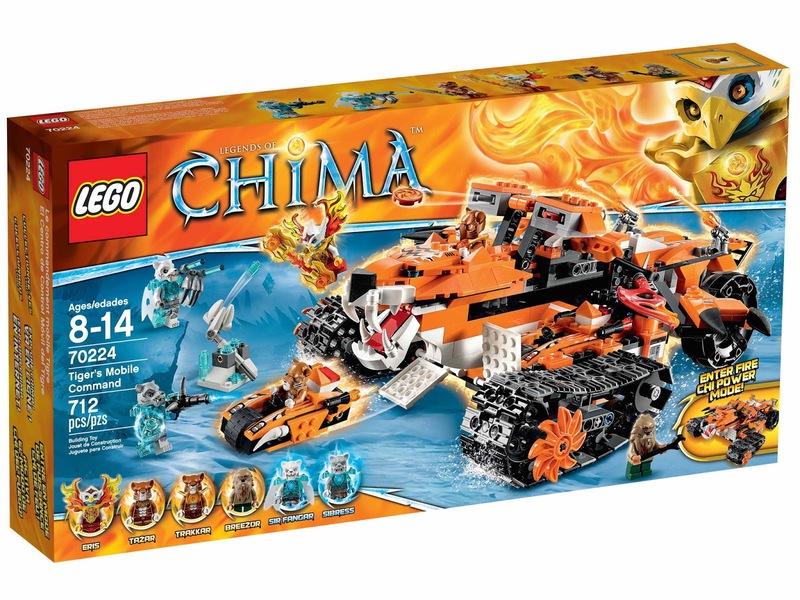 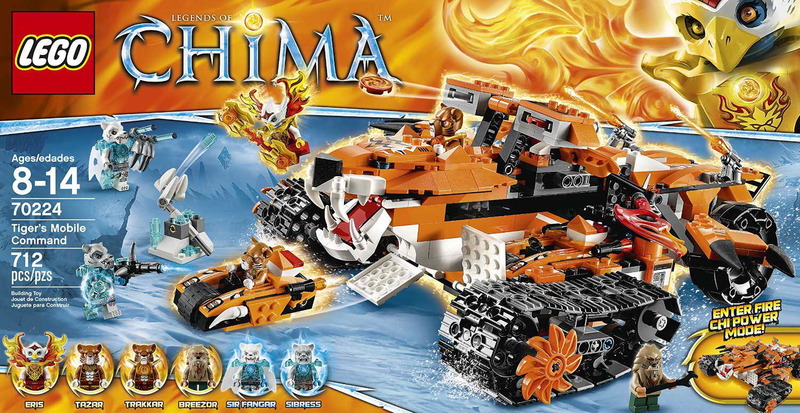 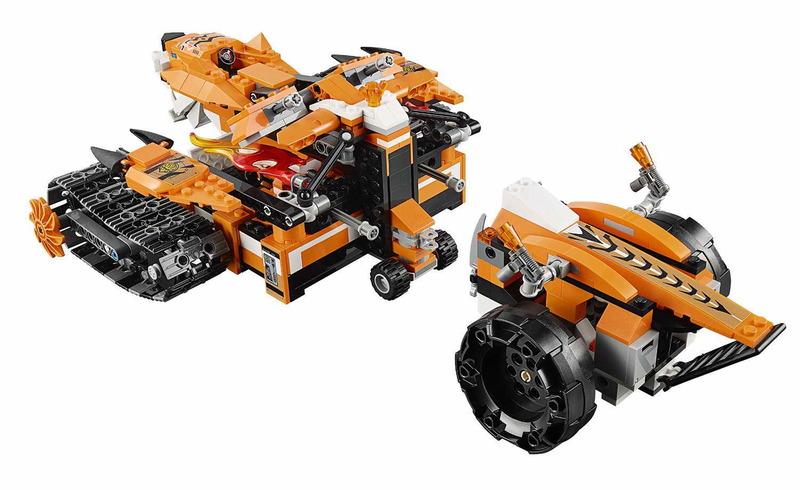 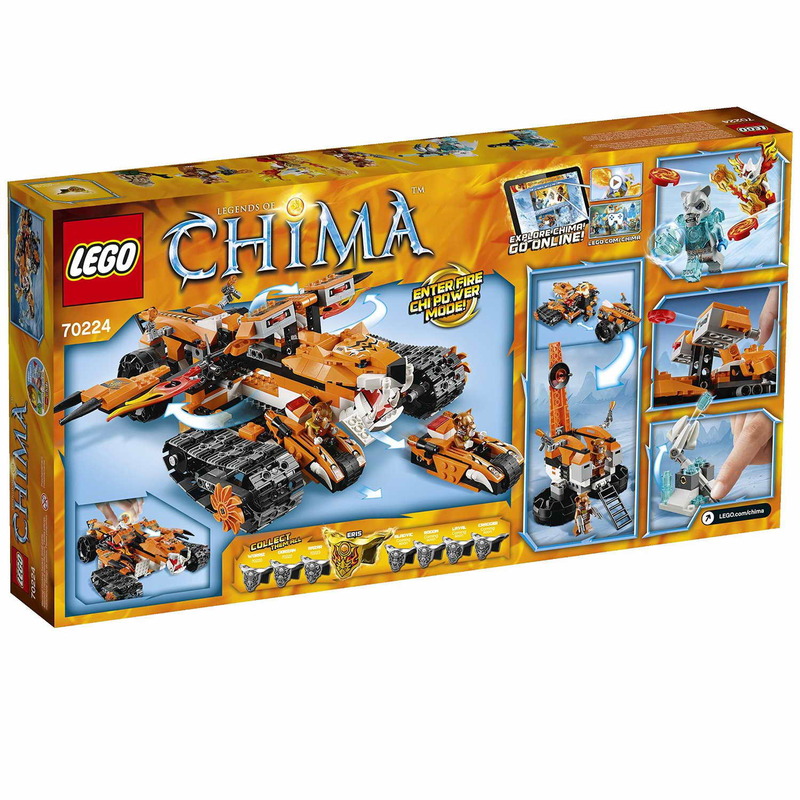 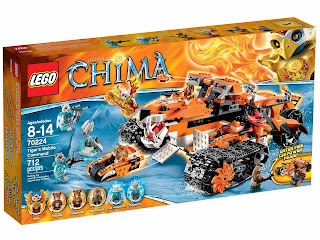 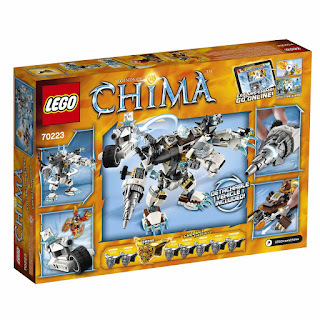 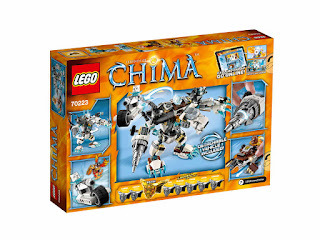 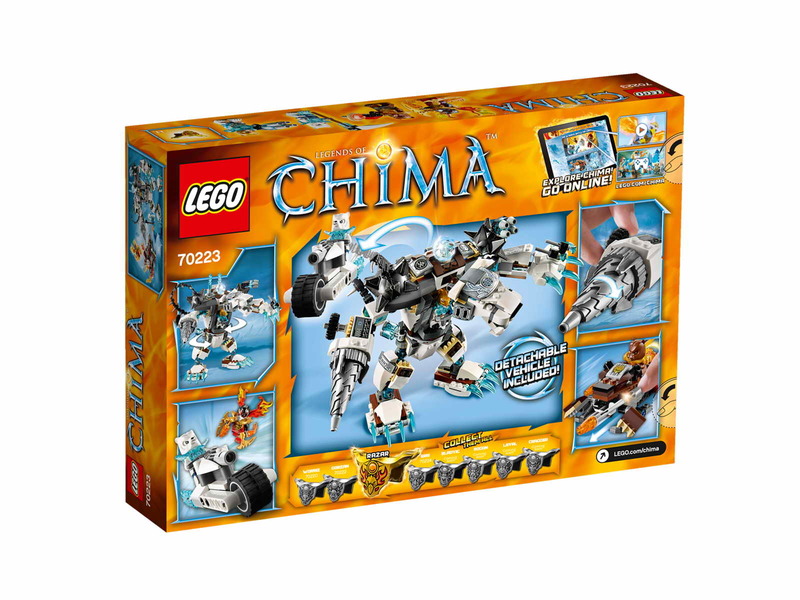 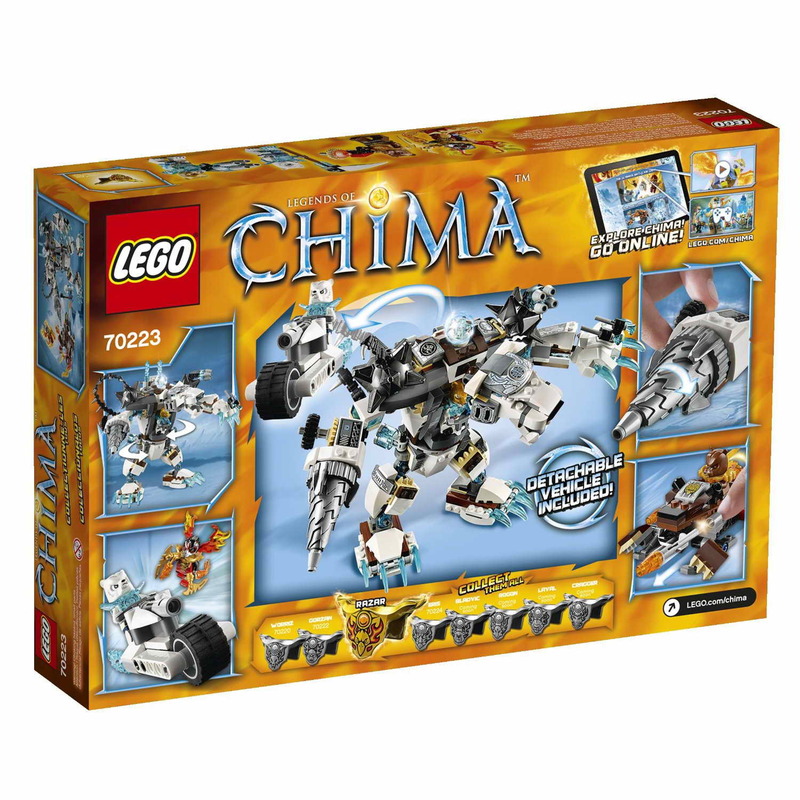 the mobile command has a tiger’s head detail, big rotatable tracks, a fire chi crystal, a fire chi mode, flame details, 2 hidden disc shooters, adjustable ramps, 2 tiger pursuit bikes and a detachable tiger communication base. the tiger communication base has a radar dish, adjustable transparent flame search lights, a computer dashboard, a flip out ladder, 2 storage compartments for chi and 2 metallic tiger claw weapons. 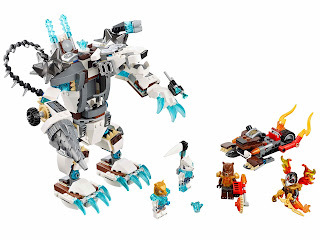 weapons include a sir fangar’s twin saber klaw, a sibress’ kold blasta, a tazar’s fire pulsorz, a trakkar’s slashenatorz and an eris’ flaming axterminator. 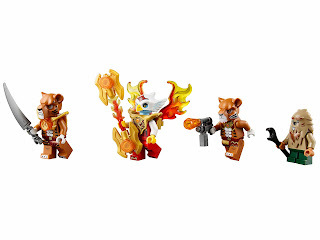 minifigs included a tazar minifig, a trakkar minifig, an eris minifig, a breezor minifig, a sir fangar minifig and a sibress minifig.